A fantastic 3 bedroom end of terrace stone property, located within walking distance of Northern Primary School, in the popular semi-rural location of Weir, Bacup. This spacious home is ready to move into, and comprises of 2 reception rooms, an extension kitchen, 3 bedrooms and a family bathroom. A spacious lounge with laminate flooring and recessed fireplace, featuring a gas fire mounted on a stone plinth. A second spacious reception room with laminate flooring, and access to an under-stairs storage cupboard. A bright and airy kitchen with a stainless steel single bowl unit, a range of wall and base units with complementary work surfaces, partially tiled walls, space for an under-counter fridge/freezer, plumbing for a washing machine, 4 stainless steel gas hob and extractor hood, and a brand new under-counter oven. A spacious master bedroom with unobstructed views over the countryside. A second bedroom located to the rear of the property overlooking the rear yard, and with 2 built-in storage cupboards. A well-presented family bathroom with partially tiled walls, a matching 3 piece suite in white, comprising a low level WC, pedestal sink, a panel bath, and a spotlit ceiling. This light and airy attic space features a spotlit ceiling, 3 velux windows, and has the potential to split into 2 rooms (STPP). This property benefits from a low-maintenance elevated garden to the front, and an enclosed and gated yard to the rear of the property. There is also access to a shared drive. This spacious property is located in the heart of Weir, situated near local amenities, within the catchment area of some of the best schools in Rossendale, including Northern Primary School, and benefiting from countryside walks on your doorstep. We can confirm that the property is Leasehold. We can confirm the property is in Council Tax Band A - payable to Rossendale Borough Council. All measurements are approximate to the nearest 0.1m and for guidance only and they should not be relied upon for the fitting of carpets or the placement of furniture.  No checks have been made on any fixtures and fittings or services where connected (water, electricity, gas, drainage, heating appliances or any other electrical or mechanical equipment in this property). Got a home to sell? Coppenwall Estate Agents, Rossendale will sell your home for only £995. No hidden fees, just an honest reliable service.  Read our reviews and book in free your valuation.